April 15 marks the end of this year’s recruitment campaign. Some of the very first candidates have already successfully completed the entire selection process and have started their preliminary training which helps them get ready to start teaching in September of 2019. They will also go through an intensive Summer Institute with both theoretical and practical modules, including working with students. 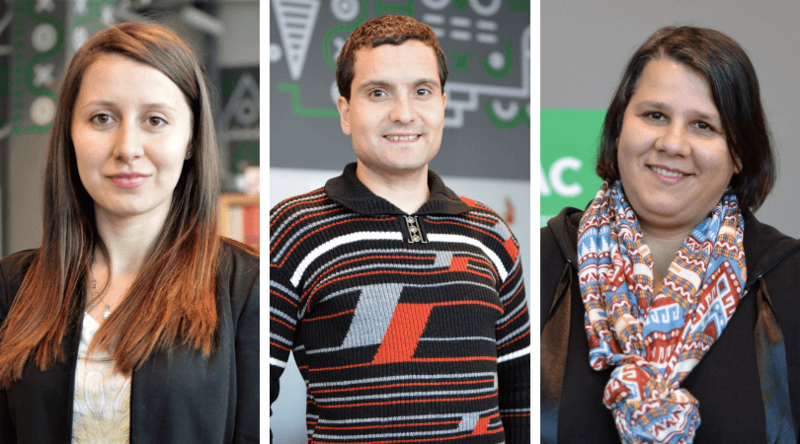 We present three participants from the new Teach For Bulgaria class of 2019-2021. If you want to join them and empower students to develop their potential and be successful, you can still apply HERE by April 15. Mariana has studied law. She has also lived in Dublin, Ireland, for eight years. 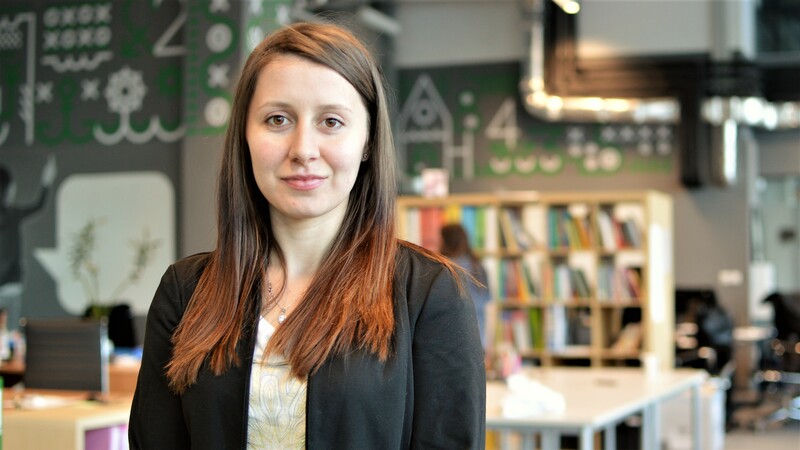 This has given her the opportunity to get to know a different education system – she remembers wishing that one day Bulgarian children would go to school with joy and feel respected there. Why did you decide to apply for Teach For Bulgaria’s program? I’ve always wanted to be a teacher, but ended up graduating in a different field. 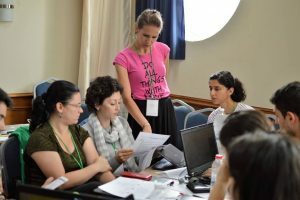 Teach For Bulgaria’s program gives me the opportunity to make my dreams come true. I identify with the mission, vision, and goals of this community and decided to apply. What do you expect from these two years as a teacher? I believe I’ll learn a lot in the next two years. I know this is the beginning of an adventure which will give me the opportunity to serve and change children’s lives. This is my chance to be an agent of positive change for a better future. What kind of education do students need to be successful and happy? Education to me is another crucial impact instrument. It is important for children to have access to quality education – it will help them be successful later in life. Success is not just material possessions. Education should provide children with good social skills; it should serve as the basis for their ability to make conscious decisions; it should allow them to build on their skills and motivate them to never stop growing. 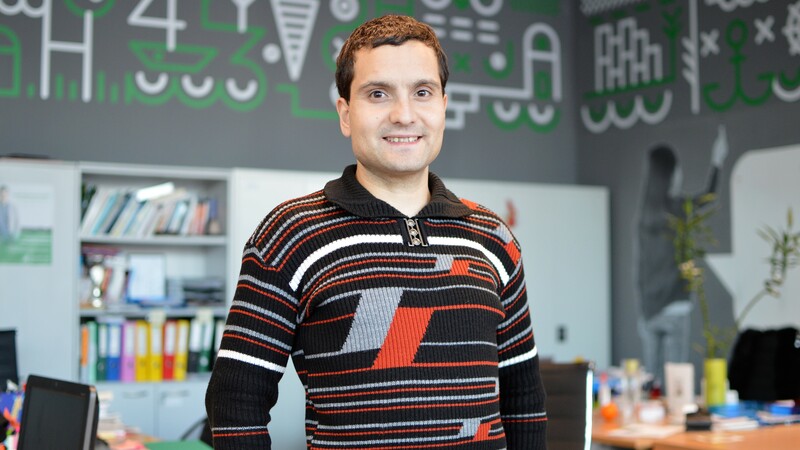 Ivaylo has a master’s degree in security issues from the Department of Political Science at Sofia University. He co-founded and worked at several student organizations. He has experience in project-related activities in the NGO sector. He loves nature and has recently started to experiment with photography. 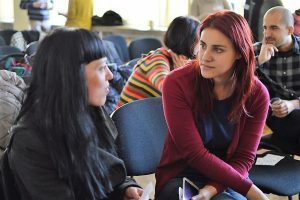 Teach For Bulgaria’s program is a new instrument which promotes active citizenship in education. The highly effective and professional leadership development system, which Teach For Bulgaria offers, motivated me to submit my application. Apart from that, the opportunity to be a teacher presents a solid challenge for me to help improve education in Bulgaria and to see if teaching is my true calling. I expect to learn a lot and to be a successful teacher. I believe I can do it with a lot of hard work, dedication, and a relationship of trust with my students. I know there are some great challenges, but this motivated me to want this change even more and I want it to happen in every Bulgarian school. I’m optimistic about Bulgarian education and I’m sure that we can all help make it better with our professionalism and genuine enthusiasm. I also expect to make a lot of new friends and work towards our common goal – helping children make their dreams come true by teaching them well and by believing in their potential. Students need a user-friendly education which can meet their needs and develop the necessary social skills and characteristics which help them be successful and happy later on. Education should be a fun activity which engages students and allows them to learn and explore the world we live in. The alliance between modern technology, innovation in education, and dedicated teachers, who believe in a brighter future, is the key to every student’s success. Reneta majored in journalism and loves children. Freedom is a core value for her. She loves life and people who make her feel cozy and she finds such people everywhere. She tries to stay curious, to feel less disappointed and more fascinated. Her dream is that one day nobody is going to feel lonely. 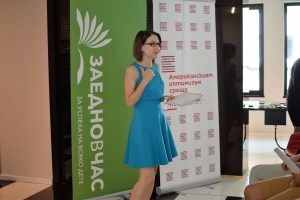 I decided to participate in Teach For Bulgaria’s program because I wanted to work with children, to serve children from vulnerable communities. 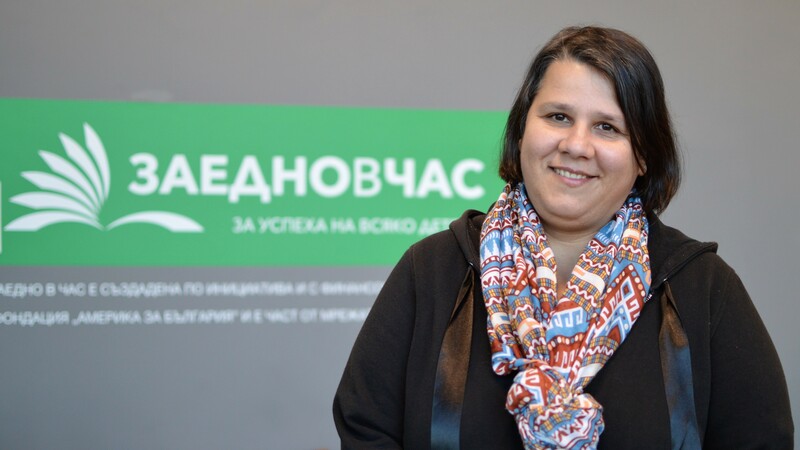 I identified with Teach For Bulgaria’s mission and decided that I wanted to improve Bulgarian education or at least have a positive impact on the lives of my future students. This will show me I’ve accomplished my goal. I am very excited to meet my students and build a relationship with them. I expect that in two years more children are going to believe in themselves, more children are going to focus on opportunities and not on obstacles, and more children won’t be able to wait to make their dreams come true. Students need to know not just what but also why they’re learning something. It is important for them to be informed, educated, and aware how to apply skills and knowledge in real life in order to be successful and happy one day. Last but not least, they should feel strong, capable, and supported along the way.